Window Creations, LLC is a multi-generational full service stained glass studio that specializes in stained glass, storm glass, custom aluminum framing and wood tracery repair and restoration. Today, whether in a church or a residential environment, our goal is twofold: education and preservation. We know that it is only through allowing our clients to be knowledgeable of the repair and preservation process that the timeless beauty of stained glass will endure. Window Creations, LLC frequently works with churches to address any threatening exterior issues. Continually updating and improving, we have purchased several lifts to aid in frame repair, replacement, painting, protective glass installations, and custom aluminum framing. These lifts insure safe, efficient, and timely results giving churches exceptional work without long term scaffold sets in most cases. As a progressive studio, Window Creations, LLC uses CAD software, CNC machinery, digital kilns, silk screen equipment, multiple lifts, and a state of the art sand carving system. As evidence of our growing reputation, Window Creations, LLC has built a new 35,000 square foot stained glass studio located in northwest, Ohio. This studio will enable us to better serve our clientele, as our projects have increased in both size and volume. As professional artisans who persistently seek new techniques and strive to refine the old, we are honored to preserve the past, for present and future generations. 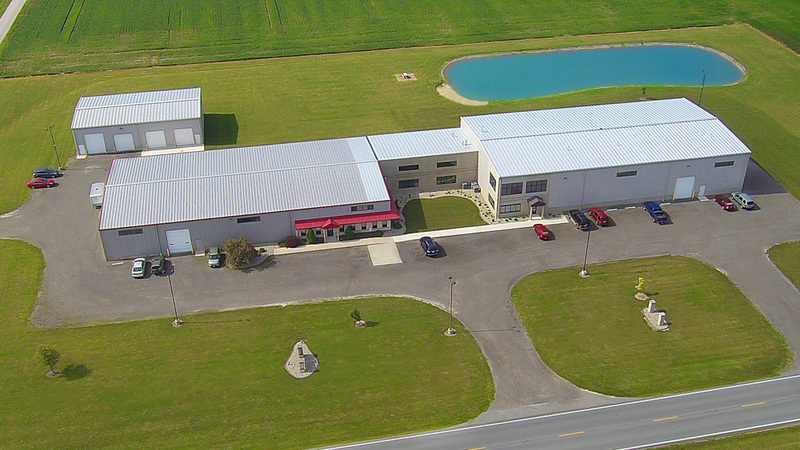 Our state-of-the-art facility is located in the northwest corner of Ohio.